I just got my new fog lights in from CARID and was very pleased with how they turned out despite one having a small crack. I installed them today and took pictures to document so I could make this post. 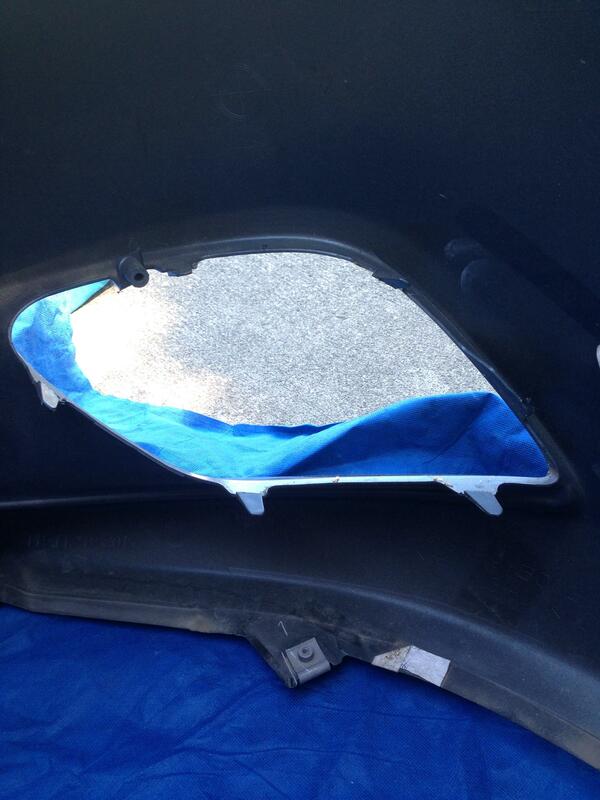 Note: I did this by lifting the car up and removing the bumper. I know there are ways to do it without removing the bumper and without lifting the car, but I did it this way to make it easier to document and see how everything fits. 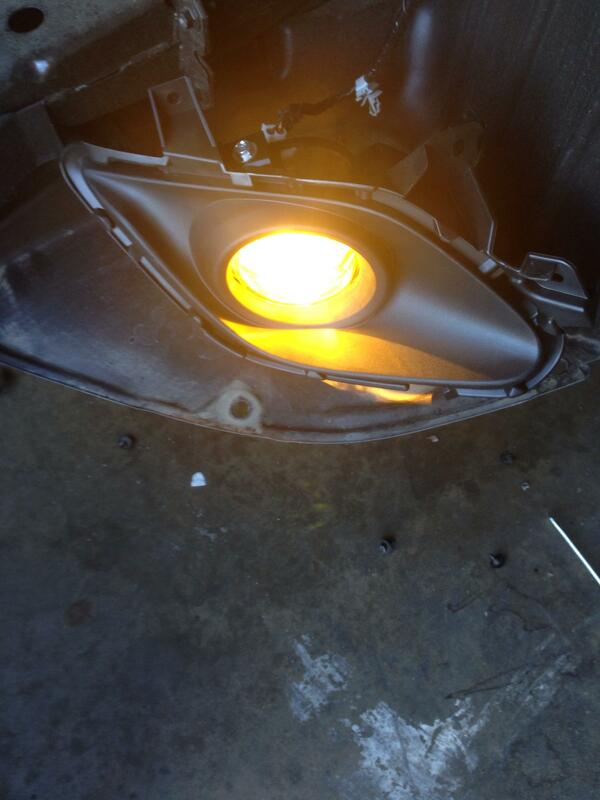 Also, I got excited and installed the fog light turn signal without documentation. It is very self explanatory. I will explain it at the end if there is interest. It is plug and play. 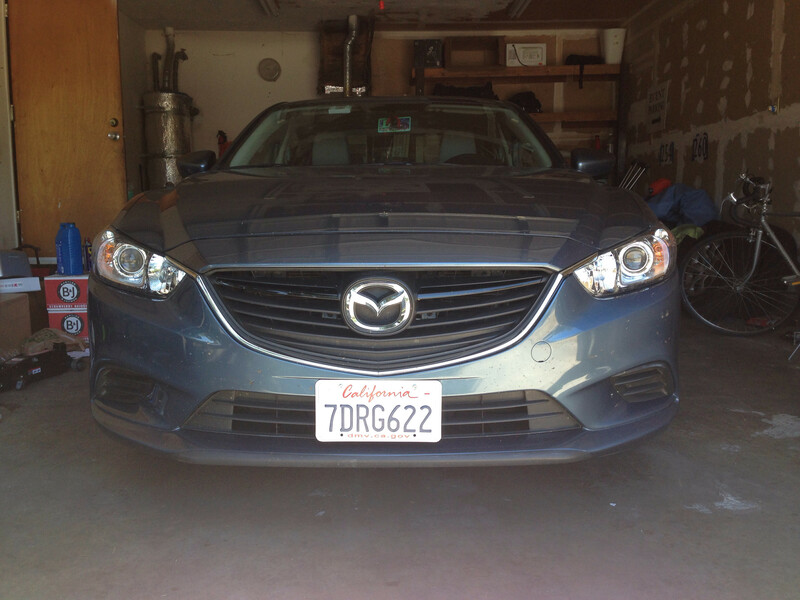 This is my car, a 2014 6MT Touring in Reflex Blue. It did not come with fog lights. I had been wanting to do the fog lights for awhile and finally pulled the trigger when I got a Visa Gift Card. Excuse the messy garage; it is a rental I share with 3 other roommates at college. For those who will ask, its the AEM Dryflow. Works well as far as I can tell. 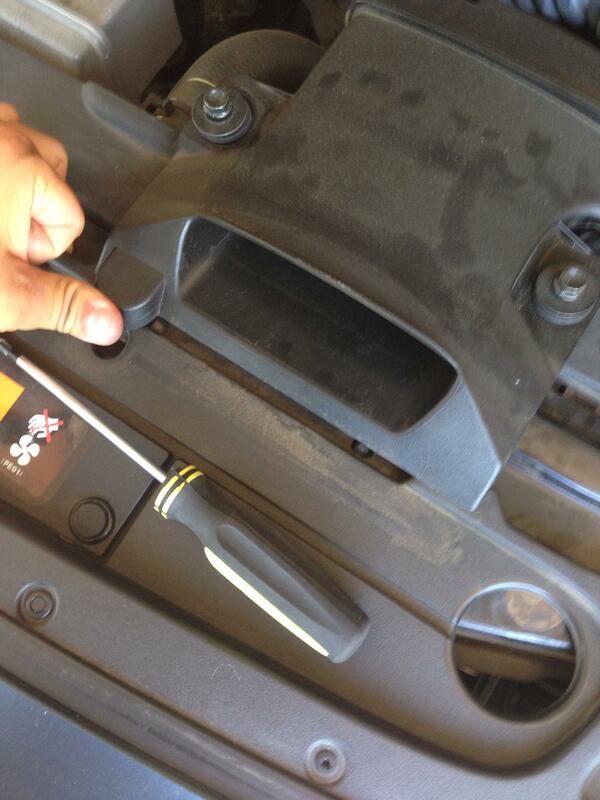 There are 4 screws and 3 tab...things to undo on the top of the bumper. Optionally, you can undo the flap on the top, but I chose to leave it on for the sake of not losing screws. 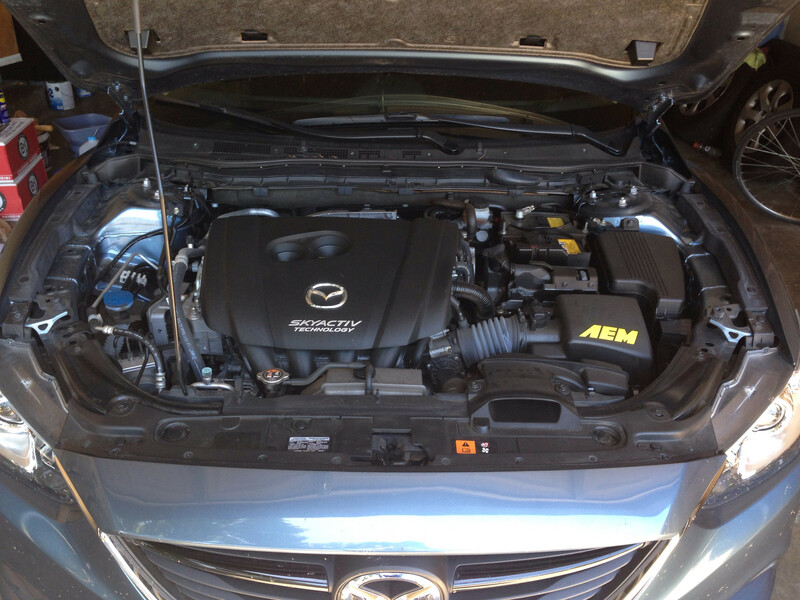 You also will need to un-bolt the air intake. You can leave it bolted in and just loosen it to move it over the top of the bumper if you like, but it is easier to remove it. 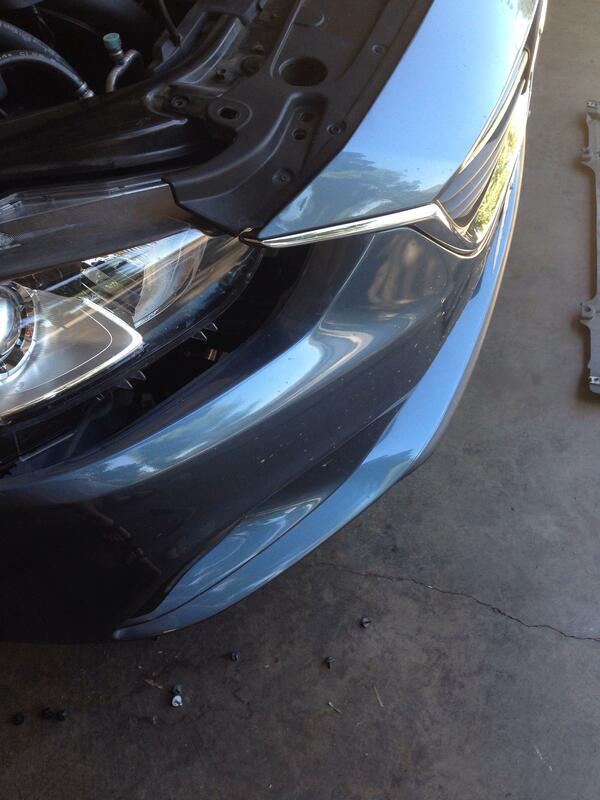 After this step is done, you should be able to give the top of the bumper a slight tug and feel it coming off. 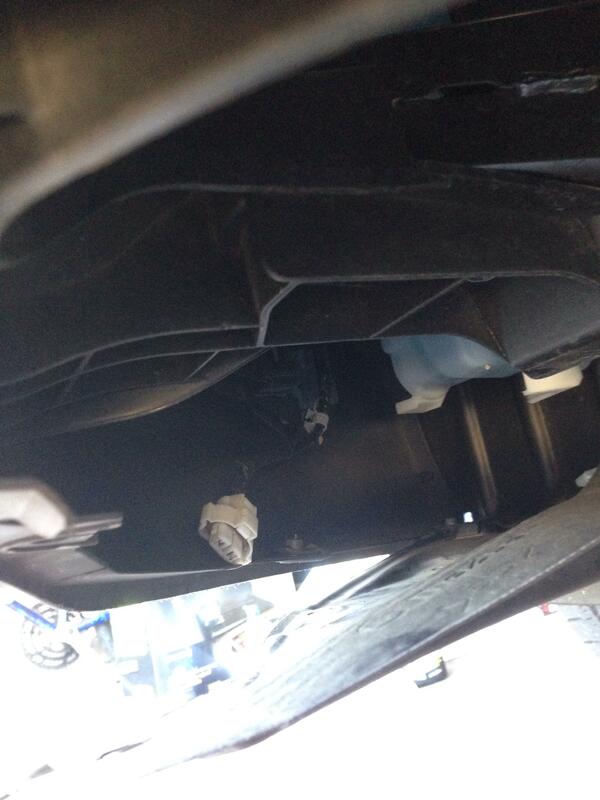 Always use jackstands when working under the car. A floor jack is also nice. I used a tiny one, as my main tools and toolbox are away in another garage. 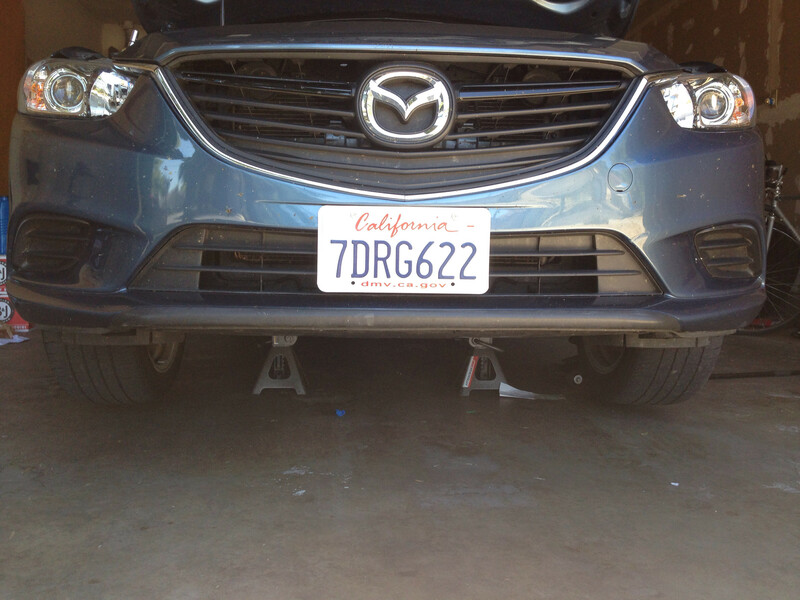 I leave the jackstands under a suspension component that is load bearing (best description). 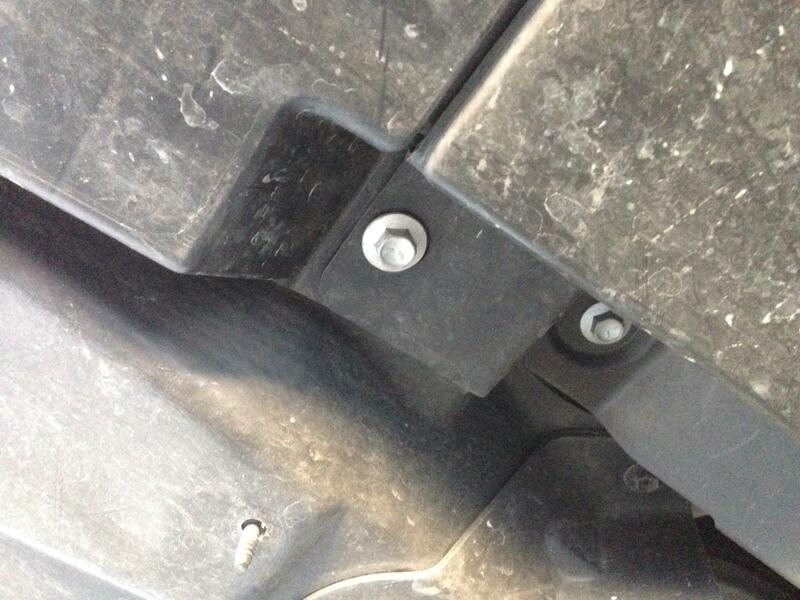 When you are under the car (or not) you will notice these screws on the front of the large plastic cover on the front. There should be 4-6 of them (some of mine were missing). 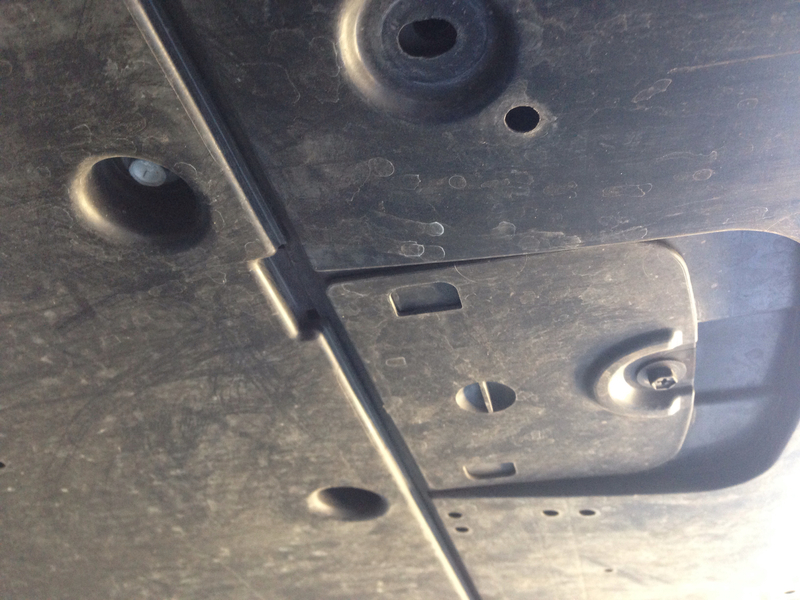 On the back part of the front cover, there are 10mm bolts. I believe there are also 6 of these. 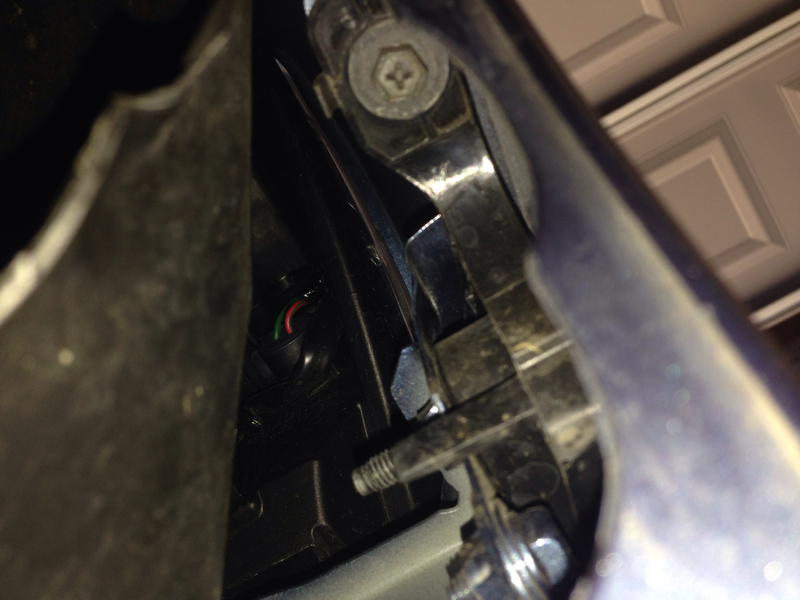 Once all of the bolts and screws are undone, the final tab holds the cover in place. Just pull it out of the bumper to release the front cover. It can then be pulled out. 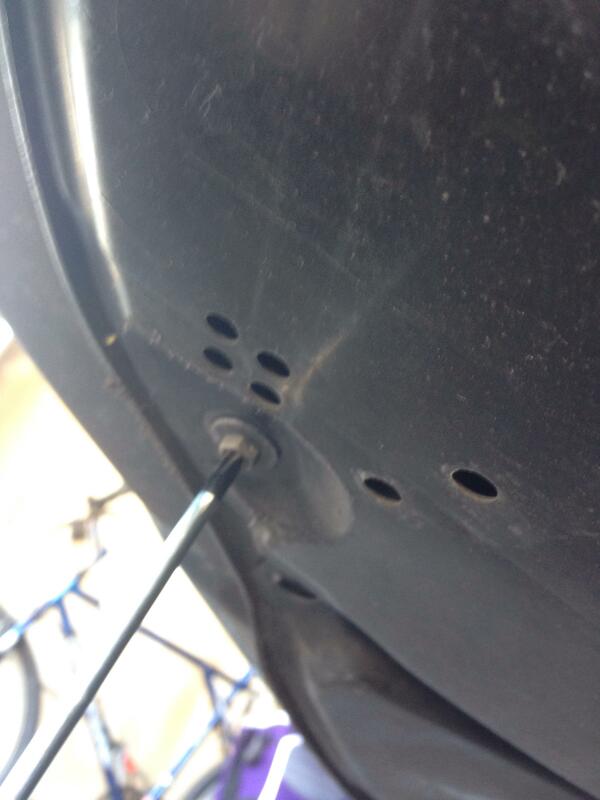 There are screws on the front to remove the panels on either side. 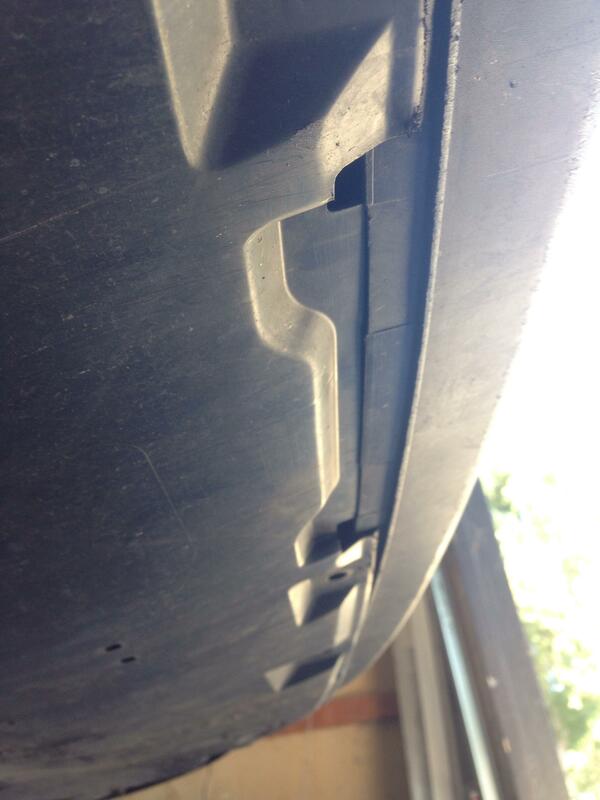 These dont need to be completely removed; they just need to be removed from the bumper. The connector can also be seen here if it is dislodged from the dummy plug as mine was. 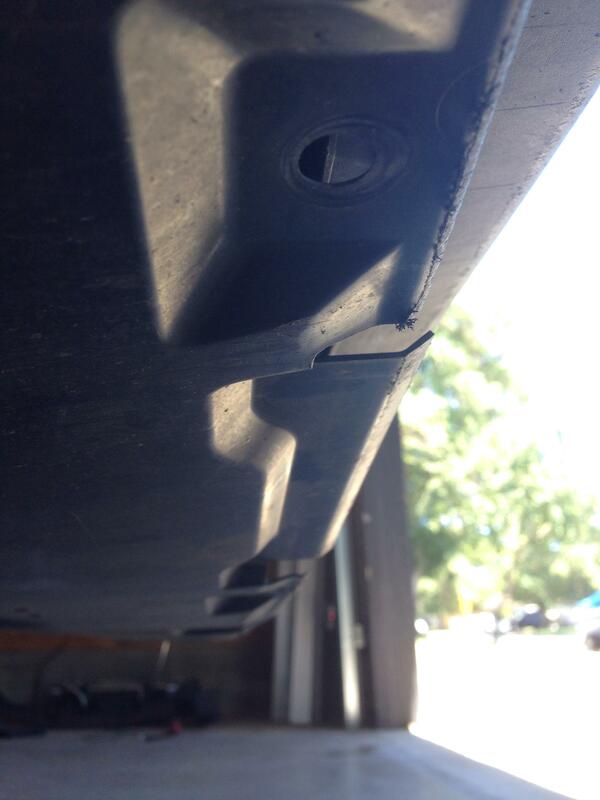 This is where the plug will be if your bumper has not been previously removed or the plug has not been touched. This needs to be done on both sides. 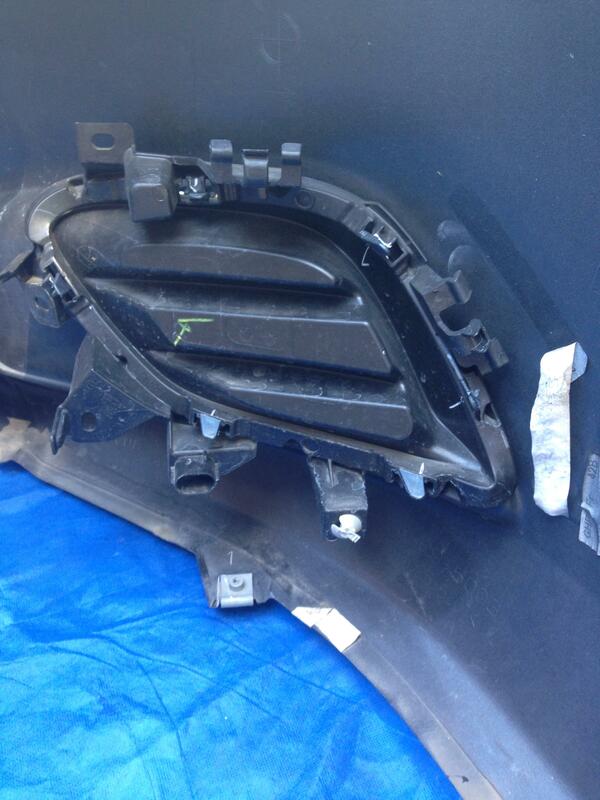 The last part of the bumper to remove is the sides. 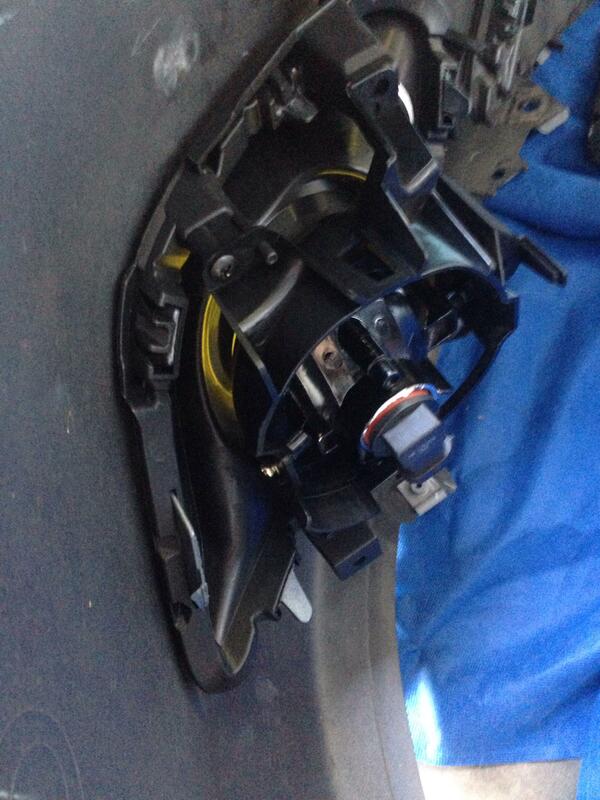 Looking in the wheel well, there are 3 tab...clip screws that need to be removed. 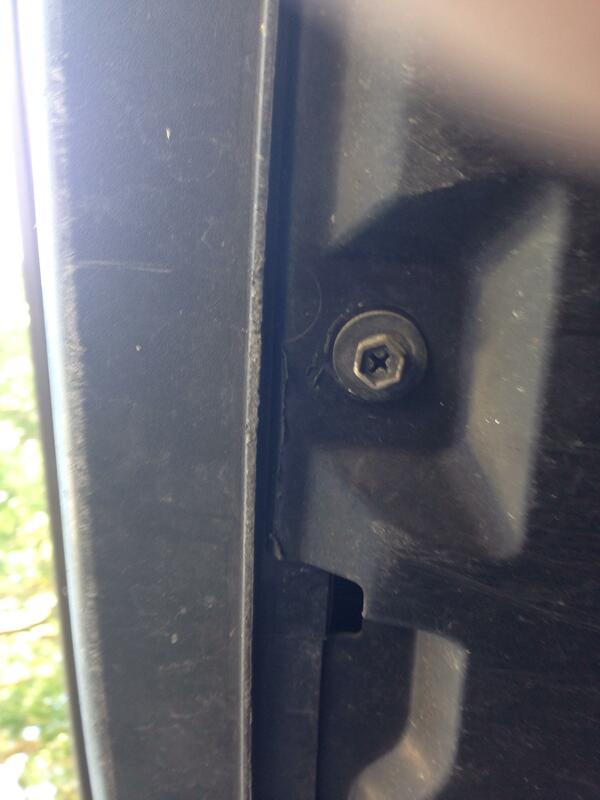 The last screw that needs to be removed is the single screw behind the wheel well cover. This should be completed on the other side as well. 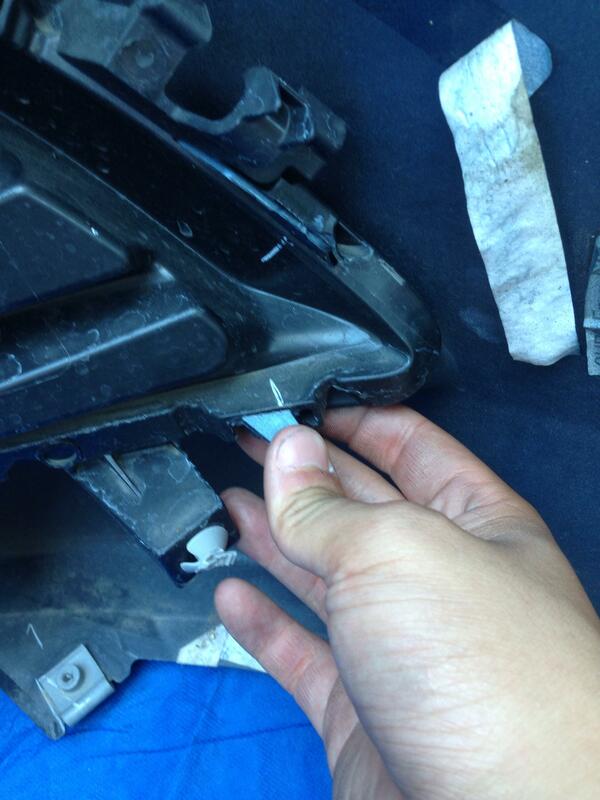 The bumper can then be pulled from the side when the screw is removed. 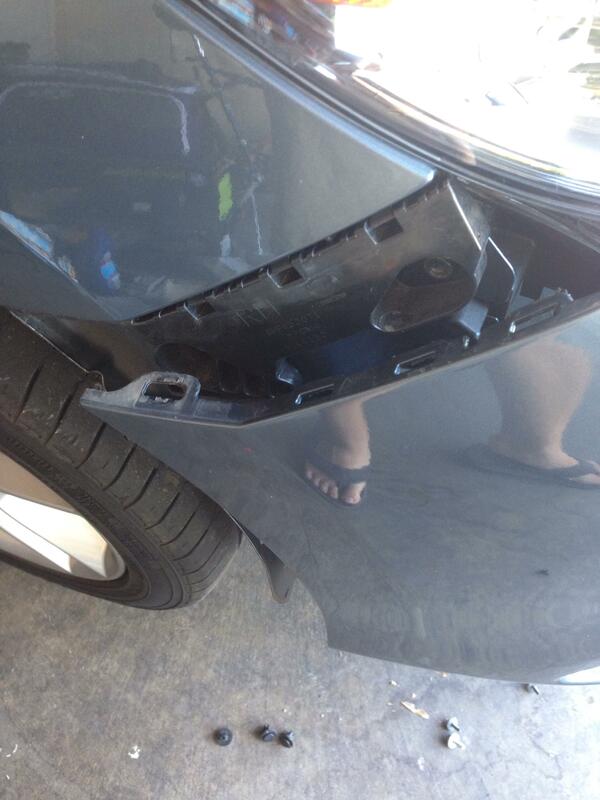 The bumper will then come off of the car (hopefully). Check to be sure it is not caught on any screws. 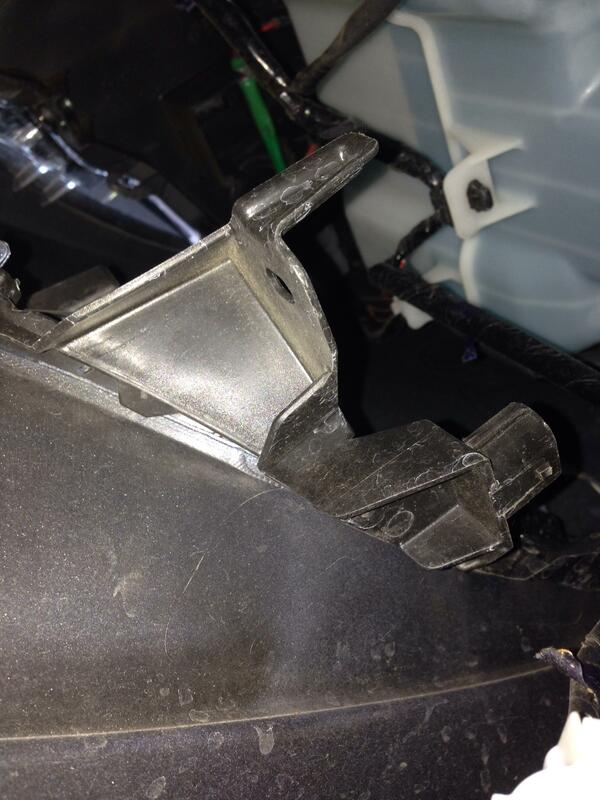 The fake vents are held in by clips. 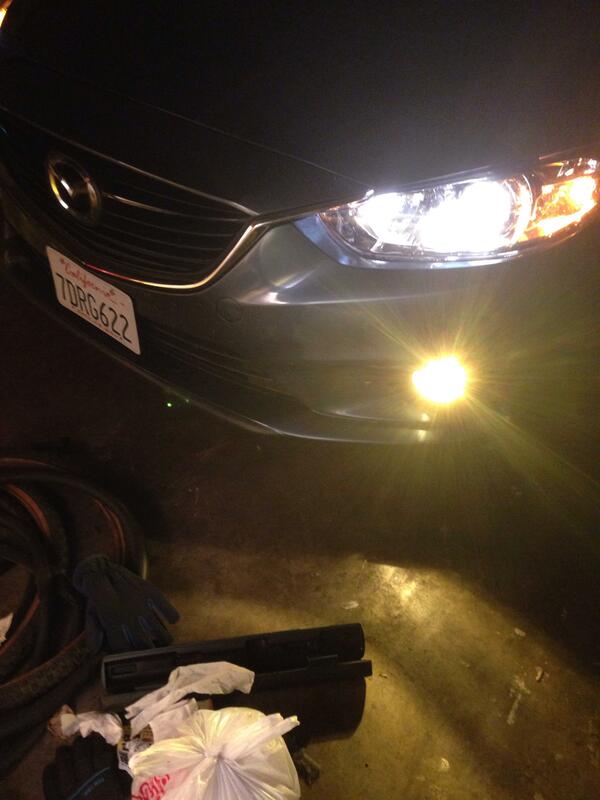 They look like bodywork clips; a few of mine were broken for whatever reason but the fog lights still hold. Before fitting the lights into their housings, I plugged both of the lights into the sockets to make sure that the work. Luckily, they both did. 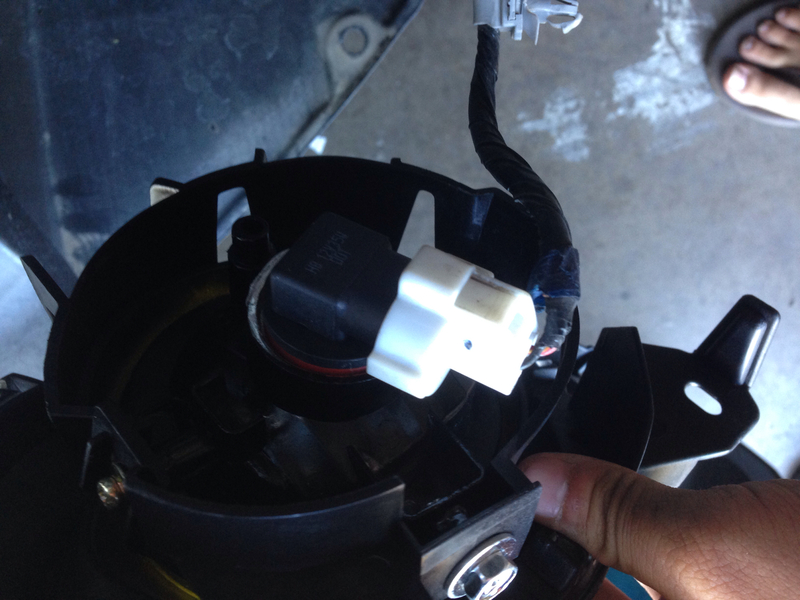 The OE plug fits right into the Spyder brand fog light housing. One of my lights was cracked. This bothered me, but I was so excited about the lights that its not a huge deal. The light should fit right into the housing. Make sure you have the side correct as they are kind of hard to differentiate. You will not need any of the other wiring that CARID provides. 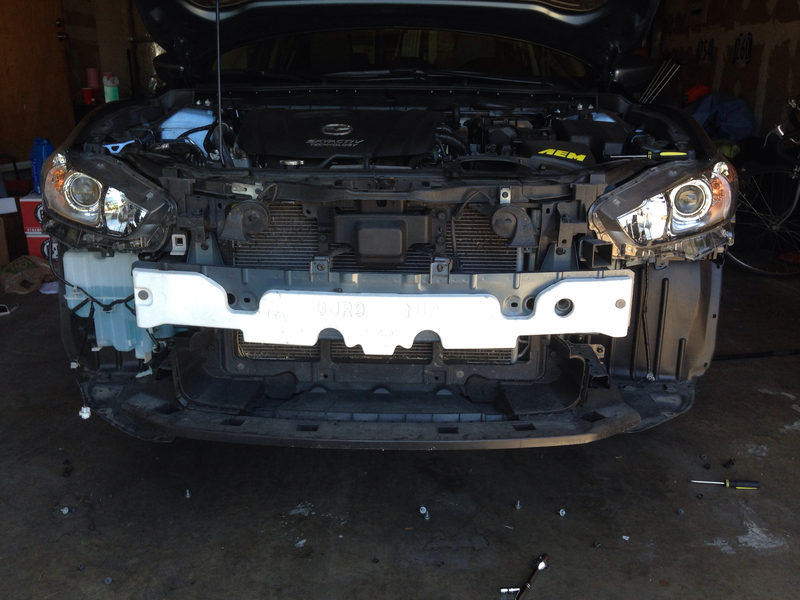 The fog light cables are not long enough to reach, so they need to be connected as the bumper is put back onto the car from under it. Make sure you hear an audible click as the plugs are fitted in. The lights will only work if the headlights are on as well. 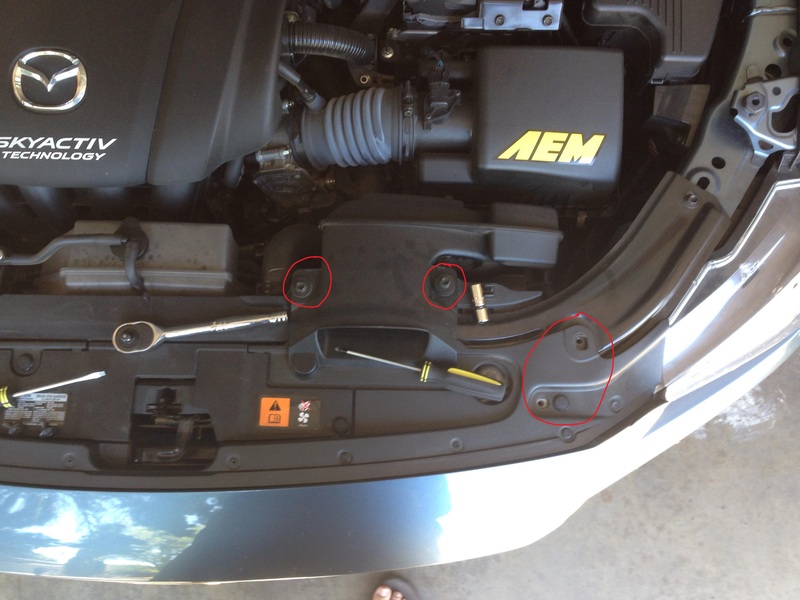 Bumper install is reverse of removal, yet doing the top screws first when putting it back on will help to keep it in place. Thanks Byakuya! I might add the stalk information in the next few days for those who are confused about that. I feel special being apart of the "One Stop Shop!" +1 for the clear write up. i managed to do this w/out taking off the bumper and lots of feeling around. Excellent write up! Do you think the stalk is too difficult to install? Anyways I would use my fog lights all the time while my headlights are on and I see that they work that way unless you install the on and off stalk.. The stalk is very easy to install, and you need that switch to activate the fogs - without the stalk, the fog light sockets in the bumper won't get any power. 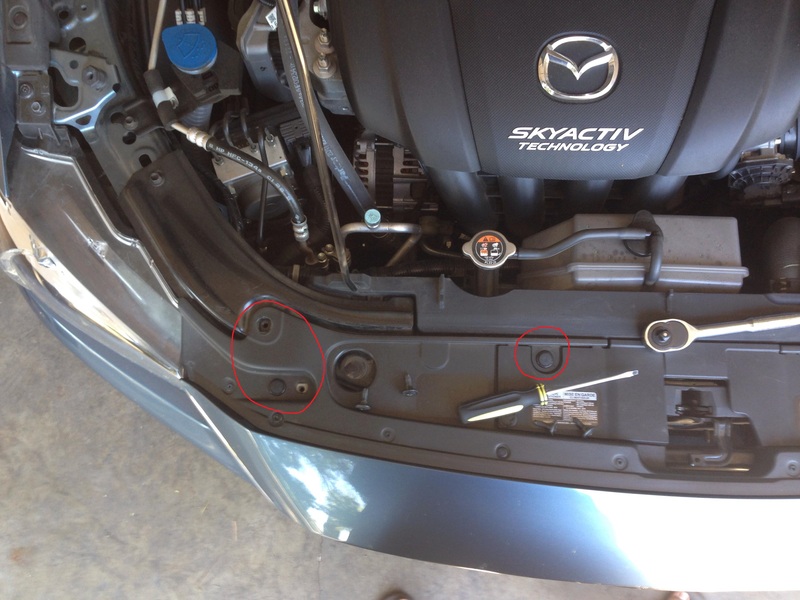 can someone make a write up on how to remove the "non-fog stalk" and install the "with-fog stalk"
Here is the "Light Switch Removal" procedure from the Mazda 6 workshop manual.